My previous article on githanki and githzerai PCs generated a lot of conversation about the history of these races across more than 30 years of D&D, including discussions about the kind of options people would like to see converted to the newest edition. 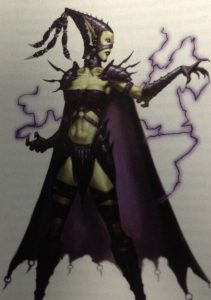 Below you will find several new class archetypes inspired by James Wyatt‘s brilliant “Rise of the Githyanki” in Polyhedron #159, including the ghustil (arcane healers) for both bards and rangers, a holocaust warrior variant for eldritch knights, and a new warlock patron, the Lich Queen herself. You will also find several new backgrounds inspired by the gith, but usable by PCs originating from far-off places or who are scholars of the planes. Special thanks to reddit-reader, hachface, for the inspiration for the Lich Queen warlock patron, and to reddit-reader, 3Vyf7nm4, who asked for more gith-specific backgrounds. Ghustils are healers adept at manipulating the energies of the Astral plane into healing power. Since natural healing is impossible on their native plane and divine magic is exceedingly rare, those few githyanki who can master healing spells are vitally important to their warrior culture. When you select this college at 3rd level, you gain spare the dying as a bonus cantrip. In addition, whenever you cast a healing spell, the spell heals an additional number of hit points equal to 2 + the spell’s level. At 3rd level, you may expend one use of your Bardic Inspiration as a bonus action. When you do, a single creature you can see within 30 feet regains a number of hit points equal to the number rolled on your Inspiration die. At 6th level, you learn any three spells from the following list. The chosen spells count as bard spells for you but don’t count against the number of bard spells you know. At 14th level, you learn any two spells from the list of spells under the Healing Secrets feature, and/or from the following list. The chosen spells count as bard spells for you but don’t count against the number of bard spells you know. 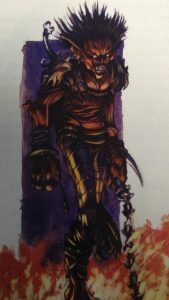 Githyanki holocaust warriors are gish (warrior-mages) that use both fire and steel to fell their foes. Holocaust warriors use the Eldritch Knight archetype with the follow ing changes. At 3rd level, you may spend a bonus action to sheath any one weapon you are wielding in fire for 1 minute. The weapon is considered magical and deals an additional 1d8 fire damage on a hit. While flaming, your weapon sheds bright light in a 10 foot radius and dim light for an additional 10 feet and may catch flammable objects on fire at your DM’s discretion. You may not use this ability again until you take a short or long rest. This ability replaces the Weapon Bond feature. At 10th level, your spells ignore fire resistance, but not immunity. This includes the damage dealt by your Flaming Weapon feature. This ability replaces the Eldritch Strike feature. At 15th level, whenever you use your Action Surge, you become sheathed in hellish flames until the beginning of your next turn. While the flames are active you gain immunity to cold and fire damage, and flammable objects in your space may catch fire at your DM’s discretion. In addition, whenever you are grappled or attacked with a natural weapon, the attacker takes 1d6 fire damage. Whenever you make an unarmed attack or grapple an opponent, the target takes 1d6 fire damage. This ability replaces the Arcane Charge feature. Ghustil’s are healers adept at manipulating the energies of the Astral plane into healing power. Since natural healing is impossible on their native plane, those few githyanki who can master healing spells are vitally important to their warrior culture. Unlike the majority of githyanki rangers who don’t cast spells, ghustil rangers are arcane casters that use their martial and magical abilities as both scouts and field medics. When you select this archetype at 3rd level, you gain spare the dying as a bonus cantrip and cure wounds as a bonus spell that does not count against the number of ranger spells you know. In addition, whenever you cast a healing spell, the spell heals an additional number of hit points equal to 2 + the spell’s level. At 7th level, you learn any three spells from the following list. The chosen spells count as ranger spells for you but don’t count against the number of ranger spells you know. At 11th level, you learn any two spells from the list of spells under the Healing Secrets feature, and/or from the following list. The chosen spells count as ranger spells for you but don’t count against the number of ranger spells you know. At 15th level, you may draw on the arcane energy of the astral plane that weaves between all existence to power your healing spells. You gain a bonus 4th level spell slot. This spell slot may be used to cast cure wounds or any spell you know from the Healing Secrets or Additional Healing Secrets class features. Githyanki and githzerai trained to hunt and kill the creatures responsible for enslaving their race often take one or more of the following Hunter options starting at 3rd level. 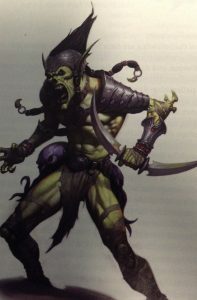 Githyanki rangers are commonly of the non-caster variety, though rangers whose spells are arcane in origin do exist (see ghustils above). It is rare, though not unheard of, for either race to ally themselves with a beast companion. Mage Slayer. You gain the benefits of the Mage Slayer feat. Mind Lock. You have trained your mind to resist the incursions commonly used by illithids, including mind blasts and certain forms of possession. You gain advantage on Intelligence and Charisma saving throws. Whirlwind Attack. Illithid Slayers may take either of the Multiattack options available to rangers, though they often prefer Whirlwind Attack which helps them penetrate the hordes of minions that surround their preferred target. Neural Backlash. Whenever you are forced to make an Intelligence, Wisdom, or Charisma saving throw against a spell or psionic effect, such as a ghost’s possession or a mind flayer’s mind blast, you may use your reaction to inflict 2d8 psychic damage to the caster. If you fail the save and the spell effecting you requires concentration, the caster must make a DC 10 concentration check at disadvantage to maintain the spell. The damage inflicted by this ability ignores resistance to psychic damage but not immunity. Starting at 1st level, when you reduce a creature to o hit points, you gain a number of temporary hit points equal to your Charisma modifier + your warlock level (min 1). At 6th level, you gain resistance to necrotic and radiant damage. At 10th level, you can drain the life from a creature you touch. Make a melee spell attack to touch a target within range. On a successful attack you deal 5d10 necrotic damage. If this damage reduces a target to 0 hit points, it must make a Constitution saving throw against your spell DC or it dies immediately (as if it had failed 3 death saves). Once you use this ability, you may not use it again until you take a long rest. 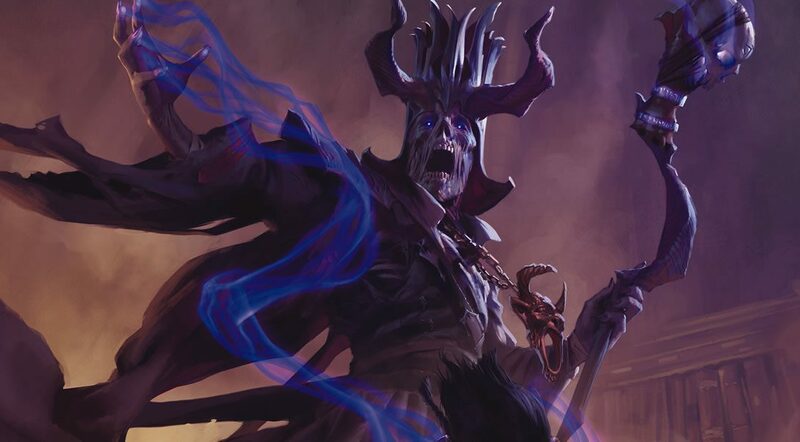 At 14th level, you can create a psychic link to a creature you can see within 30 feet of you, forcing it to witness the full power of the Lich Queen. The creature must make a Wisdom saving throw against your spell DC or take 8d10 psychic damage and becomes frightened of you for 1 minute. The target may make a new Wisdom save at the end of each of its rounds to negate the frightened condition. Once you use this ability, you may not use it again until you take a long rest. Like all backgrounds, the three backgrounds presented here can be applied to a range of races and cultures, but were inspired by the gith races. You have spent most of your life on the Astral plane. As creatures do not age on the Astral Plane, you were born elsewhere, but may have spent significant time as a youth visiting the plane either physically or psychically. You have tapped into the essence of the plane in a way others can’t understand. The flow of color speaks to you and the distant howl of psychic winds are more comforting than the gentle breezes of the Material Plane. Whatever plane you are on, you can hear the tides of the silvery sea that touch every level of existence. You know how to read the swirling colors of the silver sea, tracking the brilliant color pools through the formless waste. You can locate a specific color pool of your choosing in one-quarter the normal time (1d4 x 2.5 hours). If caught in a psychic storm, you may impose your will on your local area and either calm or magnify its effects. You may increase or decrease the roll made on the Location Effect or Mental Effect tables by a number up to your Intelligence modifier (minimum 1). This change modifies the effects for all creatures in a 30 foot radius of you. If you reduce either roll to 0 or less, you and all creatures in a 30 foot radius are unaffected by that roll. Should you be sent through a color pool to a random plane by a psychic storm, you may modify the roll on the Color Pool table in the same way (minimum of 1). You may not modify any other related rolls in this way, such as the results of short-term or long-term madness. 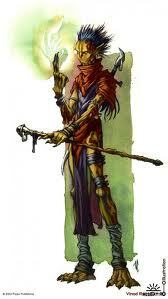 You are also familiar with githyanki culture, as well as the creatures and environments found in the Astral Plane. Astral children are daydreamers, spending much of their time listening to the beguiling emptiness of the universe. 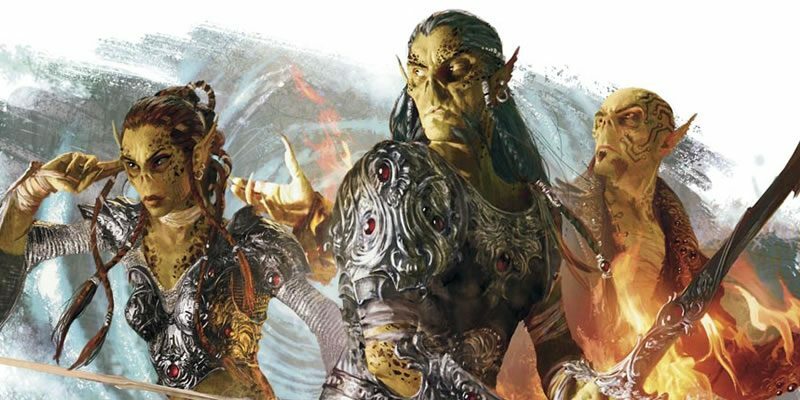 Githyanki commonly see their connection to the plane as a sign of physical, psychic, or intellectual power. Use either the Outlander or Hermit tables. You were raised and trained in an arcane university or monastery on another plane of existence or remote part of the Material plane. Something drew you away from your home. Perhaps you sought the answers to questions about your race’s origin. Maybe a visitor to your monastery aroused your curiosity about the world beyond its walls. Now you find yourself outside the disciplined civilization of the githzerai. How are you adjusting? Is the experience intriguing or frustrating? Are new companions a suitable replacement for those you left behind? You have spent your life studying the creatures, cultures, and characteristics of other planes. You know the most common metaphysical characteristics of the planes in your campaign. In addition, choose any three planes of existence other than the one you were raised on (or that you consider home if you are a githyanki from the Astral plane). You have detailed understanding of the metaphysical characteristics of your chosen planes and can easily identify creatures native to those planes. You are also familiar with the various cultures native to those planes. Planar scholars often envy those living on other planes of existence, sometimes ignoring details about their own plane. Humanoid planar scholars from the Material plane can identify the most obscure elemental insects from the plane of Fire, but may not know the basic lifecycle of a fly. The Acolyte and Hermit tables are both appropriate for this background. The sole survivor of a githzerai war band trapped on the Material plane. A dwarf, drow, duergar, or svirfneblin recently exiled to the surface world. A locathah/salenti pirate/privateer among human sailors. An aasimar, genasai, or teifling raised on another plane and either exiled to or trapped on the Material. A human from a far-off continent/island/planet recently escaped from slavery or transported to this new land by magic. This background isn’t intended for PCs traveling to a new country, but for individuals whose native culture is alien compared to average members of the campaign setting. Being trapped in another culture is disconcerting and strange, but your alien perspective allows you to see past the sometimes subtle differences that local cultures obsess over. Whenever you are dealing with a social encounter, you may chose to make an observation about the person, culture, or situation being discussed. For example, commenting that oppression of peasants is a sign of an oppressor’s own internal fear may prevent a hostile peasant from turning the party in to authorities, or convince an indifferent peasant to offer more information than they might otherwise. The same statement made to a city official, though, could go poorly. You may roll a Wisdom check during a social interaction to make an observation. On a roll of 1-10 the NPC’s attitude changes one step toward Hostile. On a roll of 11-20 the NPC’s attitude changes one step toward Friendly. A roll of 21 or higher results in no change as the comment is too esoteric to be understood. You may only make this check once per social interaction (as determined by your DM). This change in attitude is temporary and only affects the current conversation, though regular interaction with the same NPC may cause a long term change in their opinion of you. If you ever return home, your experience with other cultures allows you to apply this feature to your home culture as well. 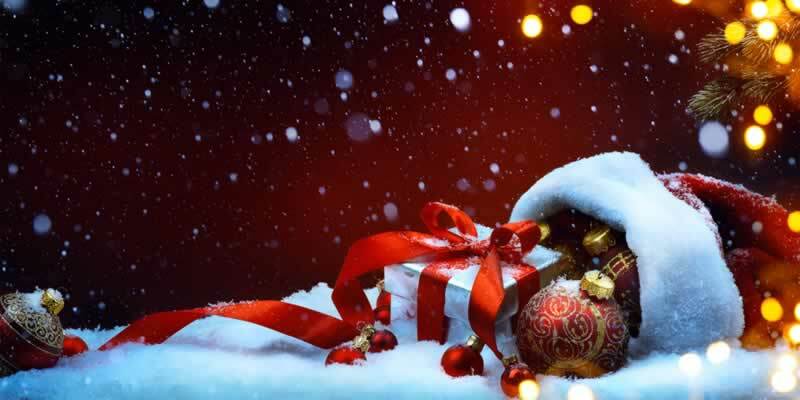 You may become a quiet observer of the world around you, hoping desperately not to offend the wrong person or to draw undue attention to yourself, or you may impose your personal or cultural beliefs on anyone who will listen to you. The Acolyte, Hermit, Outsider, Soldier, and Sailor tables are all appropriate for this background depending on how you came to live in your current homeland.